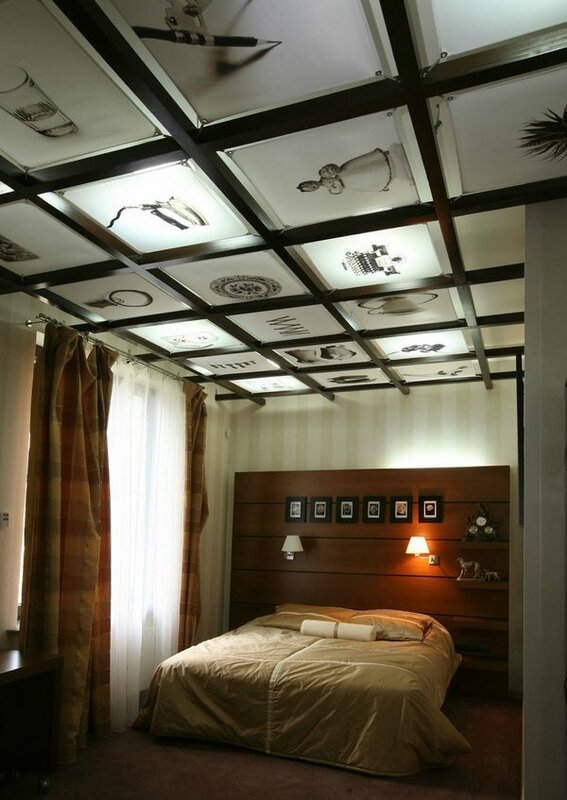 Ceiling design ideas can be really surprising. 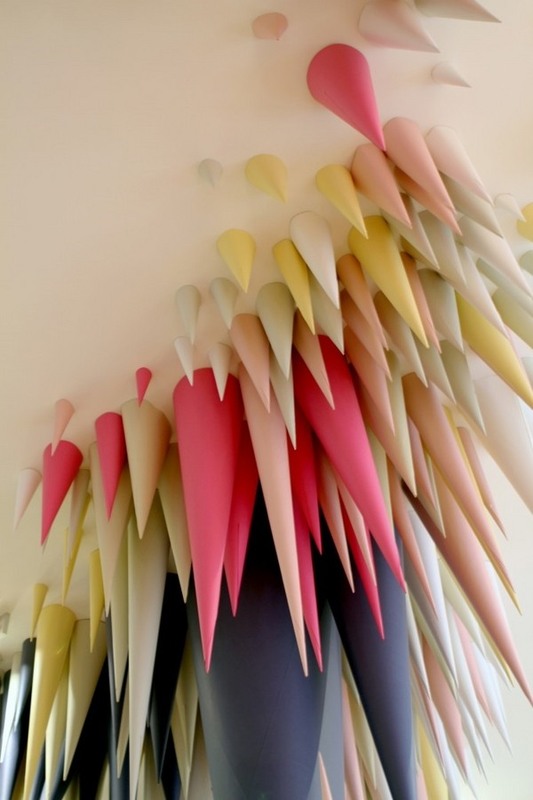 We have selected some examples for unusual ceiling decorations which some people refer to as original, while others would never even think to decorate the ceilings in their homes in such way. 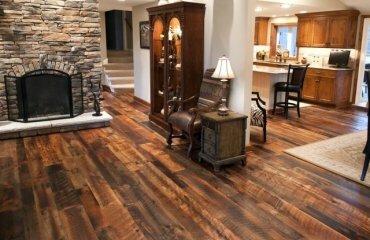 When it comes to home renovation we start thinking how to expand the existing living space, how to raise the ceiling height and make the rooms more spacious. Very often practicality gets over design and decoration, but the right ceiling design can draw the attention in the most incredible way. 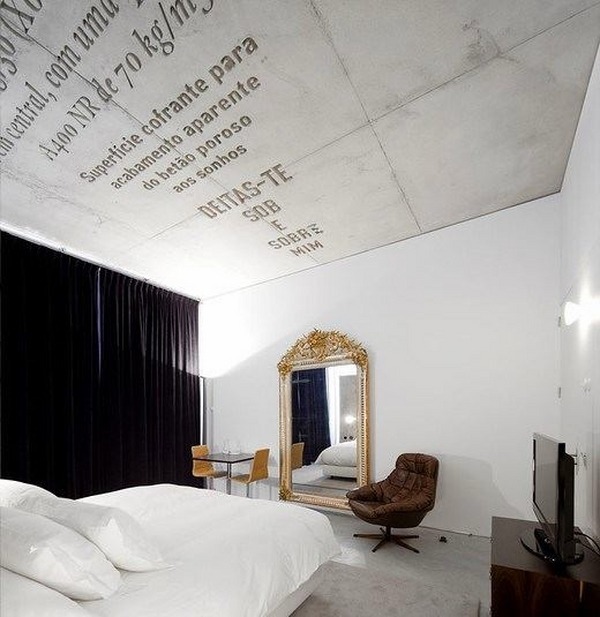 The ceiling can become a focal point of the interior, to set a certain mood and describe the host as an extraordinary person. 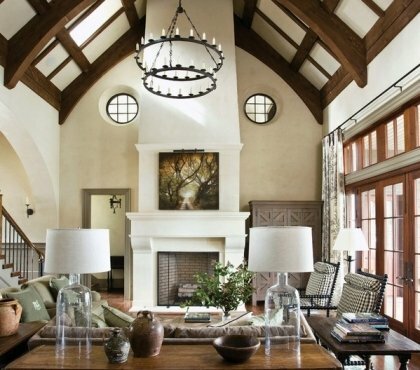 How to create an unusual ceiling design? 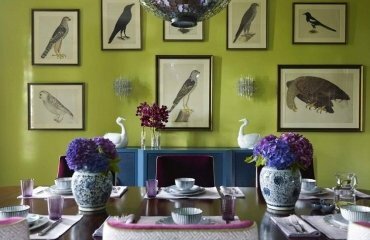 How to use unusual materials and add individuality to our home? 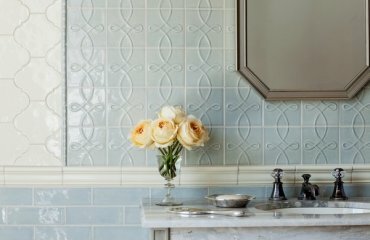 There are many design techniques to transform a dull ceiling into a focal point – you can use crown molding and ceiling medallions, ceiling panels, stained glass, you can paint it in a bold contrast color, you could use stencils, spectacular lighting, or modern technology – stretch or false ceilings, etc. 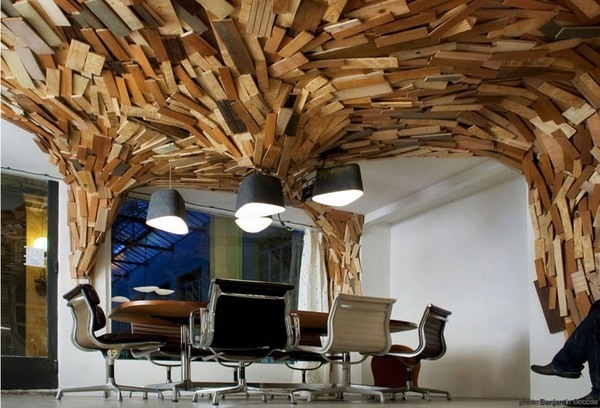 Of course you can use traditional materials in a new and creative way and your ceiling may become the most unusual part of the interior. 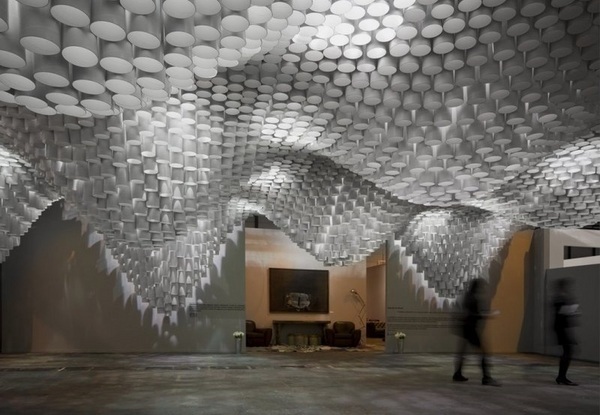 Some people prefer to create rather unusual compositions and use materials that we use only on the floor or on the walls, but not on the ceiling. 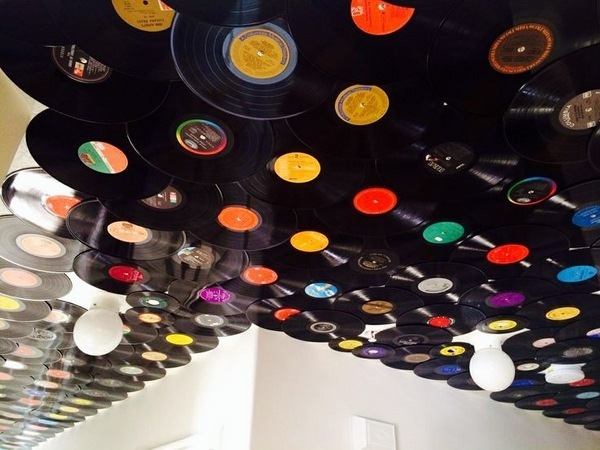 So, let’s see how we can decorate the ceiling with the help of unusual materials. 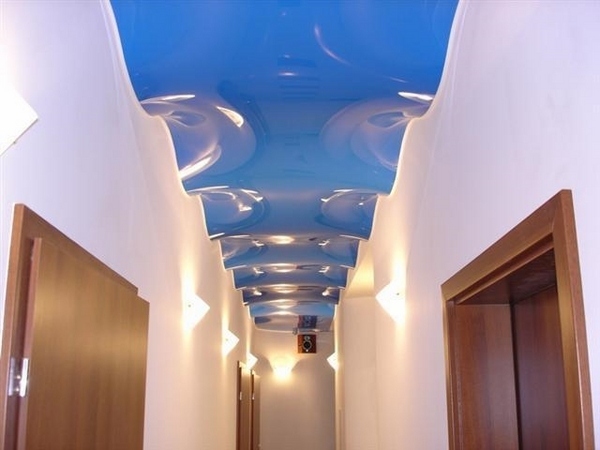 Ceiling design ideas and decoration with metal is unusual to many people, who think that large sheets of metal on the ceiling, is an absurd idea. 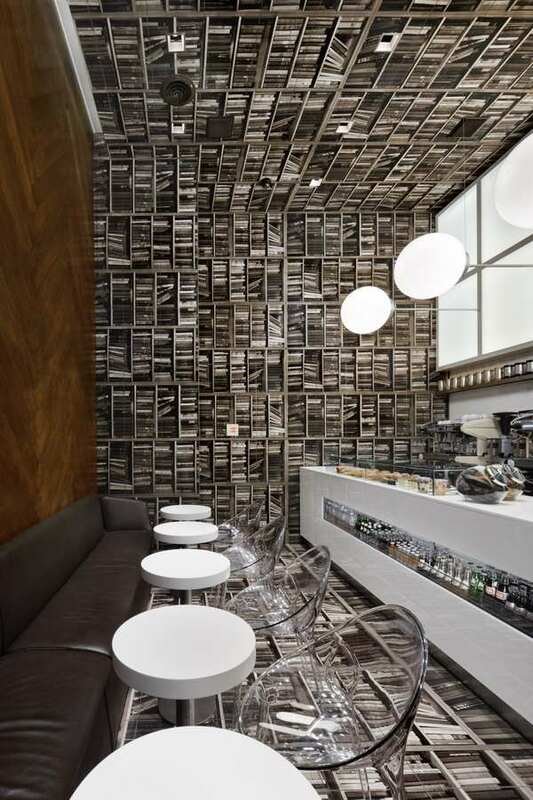 However, metal ceilings can look really cool and you original. 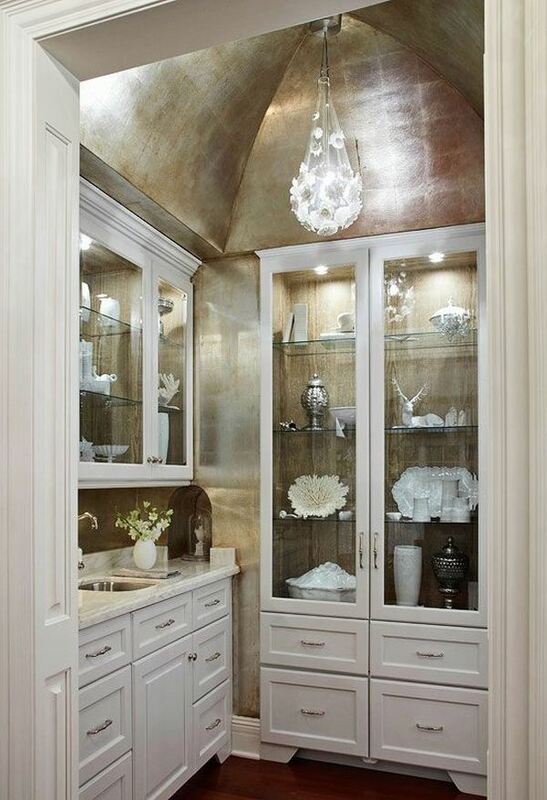 You can take advantage of the sleek sheen of metal or paint the ceiling in any color. 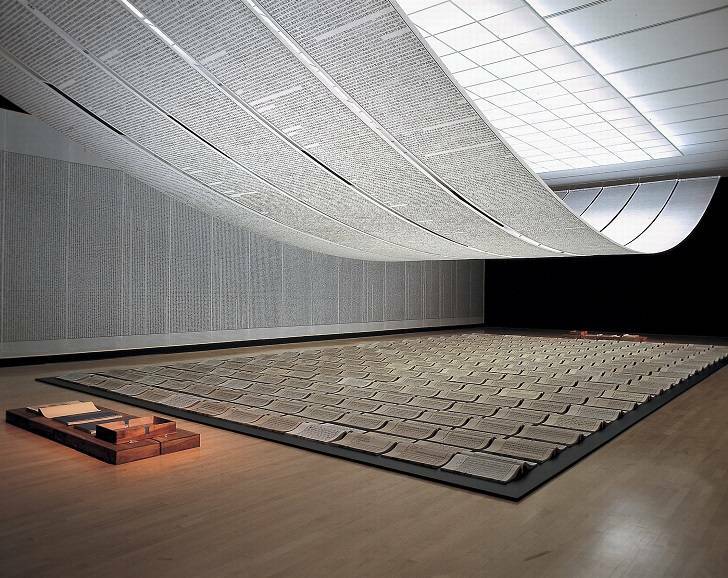 Metal ceilings are moisture resistant and cannot be damaged by condensation, for example. 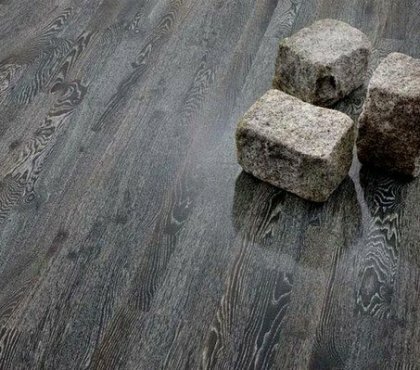 They are very durable and resistant to mold and mildew, they do not rot, do not absorb moisture, they have high resistance to fire and actually add structural strength to a building. Another major advantage is that metal designs will not crack or warp and will retain their shape for many years. 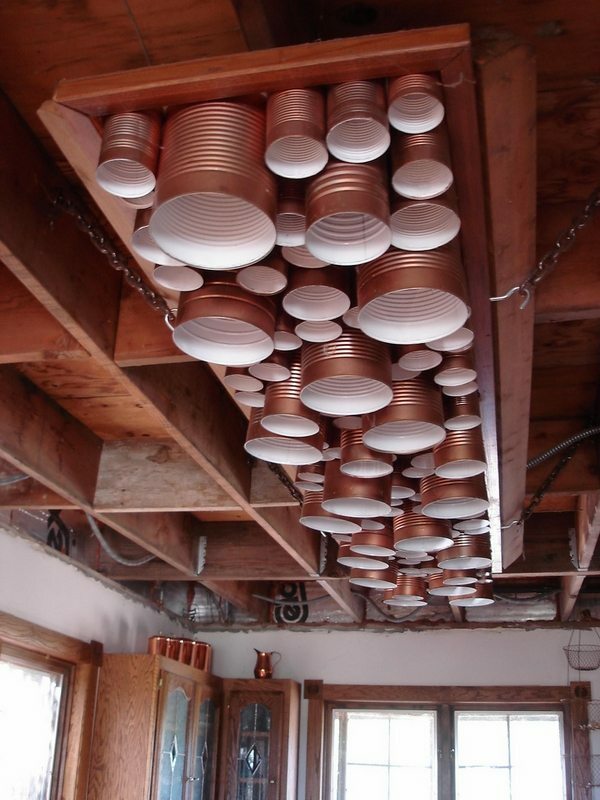 There are many original metal ceiling designs featuring different types of metal – steel, copper, brass, chrome, aluminum – and it depends on the taste of the homeowner what type of finish he would choose – bare, polished, powder coated. 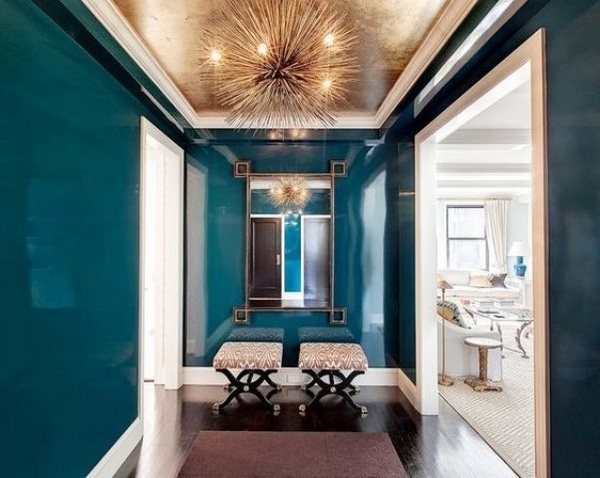 Homeowners who chose metal may opt for a ceiling paint so that the design complements the existing decor or create a visual contrast. 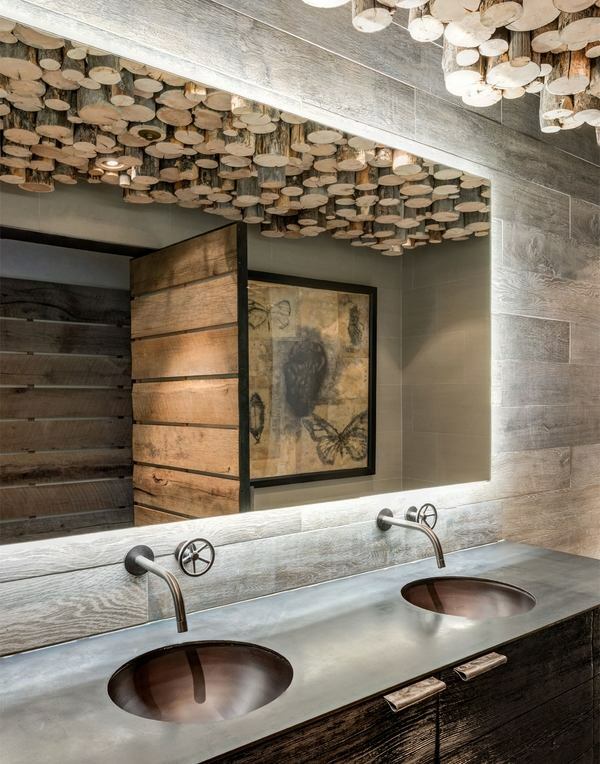 Original metal decorations can be used in various design styles – rustic, industrial, contemporary, minimalist and in any room of the house, so if you consider a renovation or wish to have an eye-catching design, it is worth thinking of an original metal ceiling. 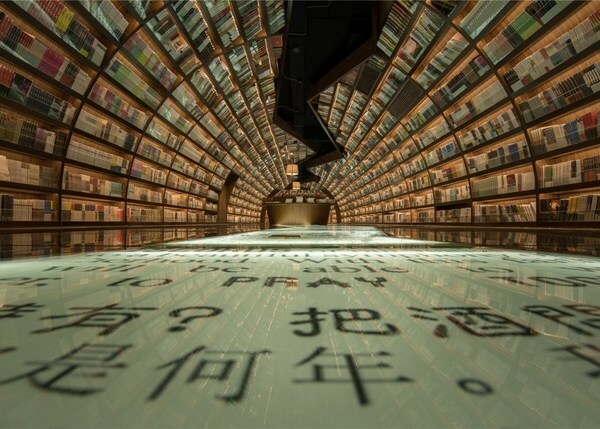 Books on the ceiling? How unusual! Is it an art installation or pure madness? 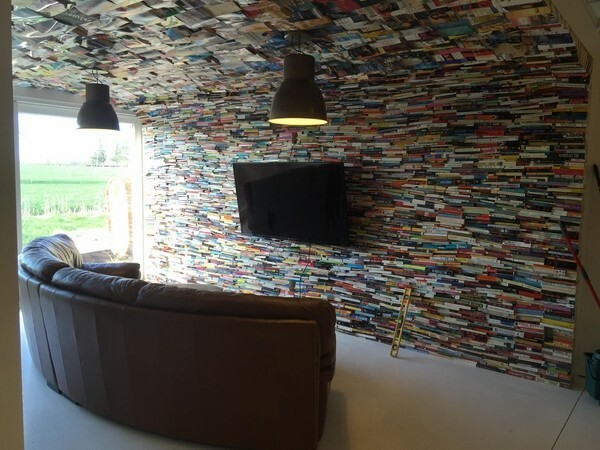 When you want unusual ceiling design ideas, decorating with books is one of the most unusual ones. 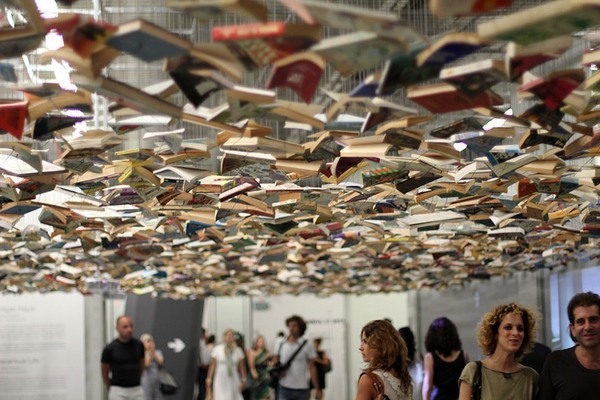 You can decorate the ceiling with floating books, which is often used in art installations or fix the books on the ceiling and you will definitely have one of the most unusual designs! If you are not attracted to the idea of nailing books, you can still have an original design with paper decorations. 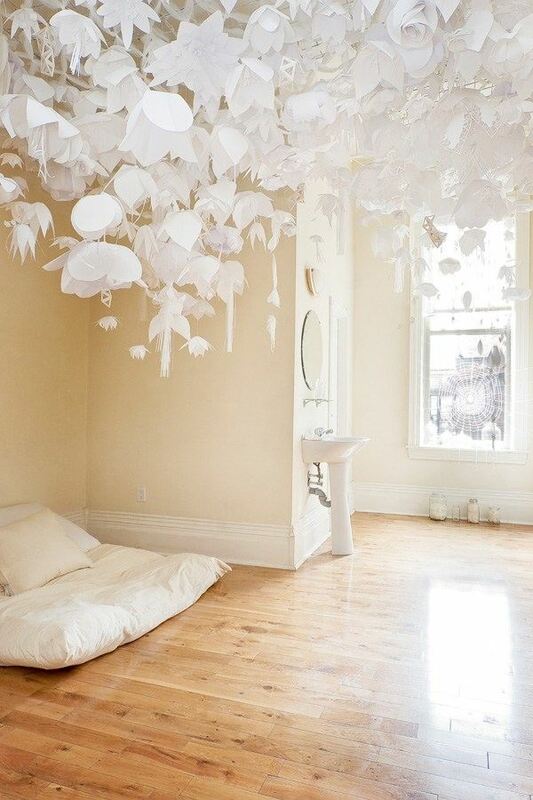 Paper cones, paper flowers – just two original ideas how to decorate your ceiling. Are you bold enough for that idea? 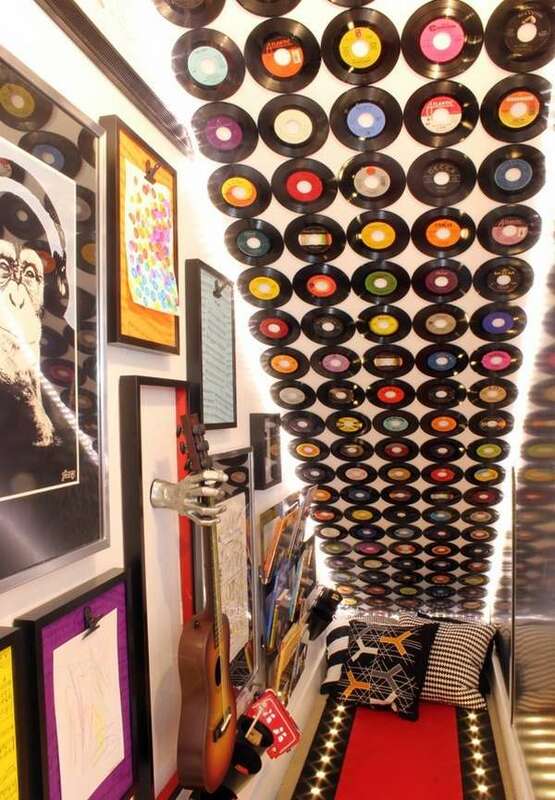 Ceiling design ideas with vinyl records look unusual, don’t they? However, no one can deny the originality. Such decorations are the perfect choice for bohemian style interiors or teen rooms. Vinyl records can be found at flea markets or garage sales and you can buy them quite cheaply. 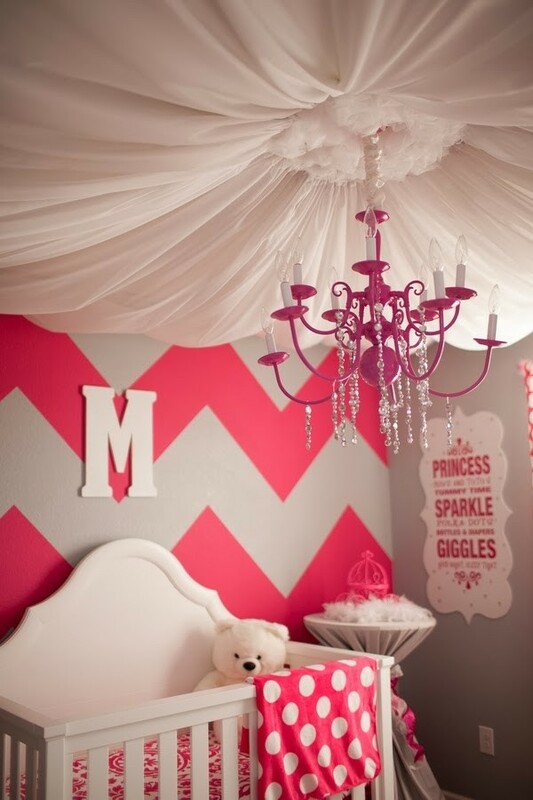 Draping is very popular technique for ceiling decorations. It is true that many decorators use it for wedding decorations but decorating your ceiling with beautiful drapes refreshes the interior and makes it just fantastic. Draping can create an exquisite, aristocratic atmosphere in the room and make the bedroom or living room sophisticated and incredibly elegant. A magical draped ceiling in the kids’ bedroom, reminiscent of the adventures in the “Thousand and One Nights” will transform the room of the children into a magical world, full of fantastic adventures. 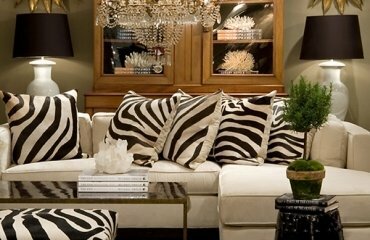 Draped designs are a typical feature in oriental interiors and will be a great idea for Moroccan styled homes. 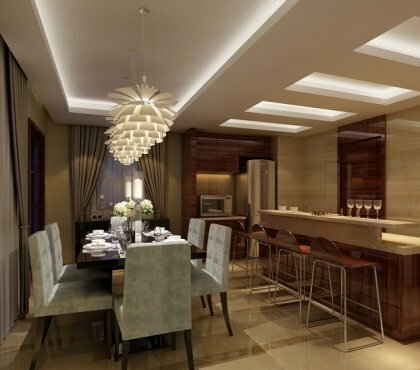 From a practical point of view, fabric draped ceilings hide every imperfection. Such designs can be used in rooms with slanted ceilings, attic rooms, kids’ bedrooms and in bedrooms, the drape ceiling will add a very special feeling of intimacy and romance. 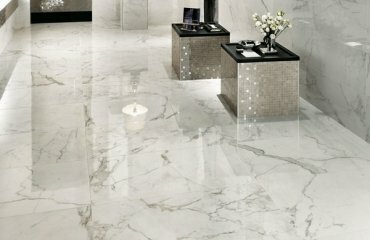 The world of design can offer numerous ideas for unusual decoration. 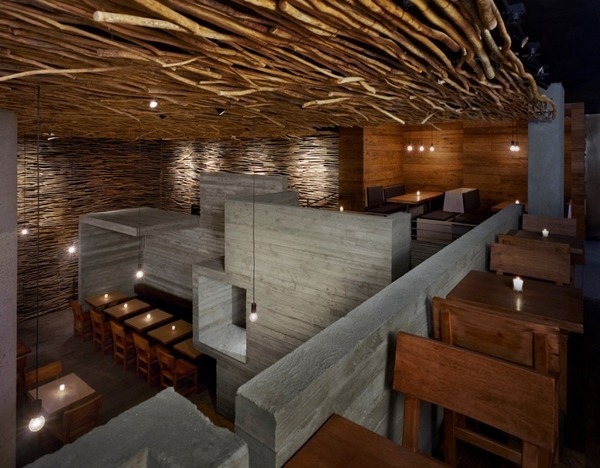 Even traditional materials like wood can look in an unexpected way. 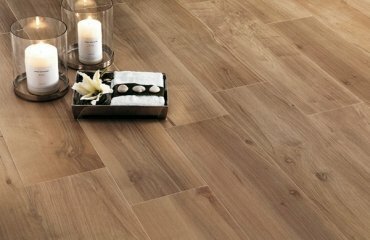 Parquet flooring on the ceiling? 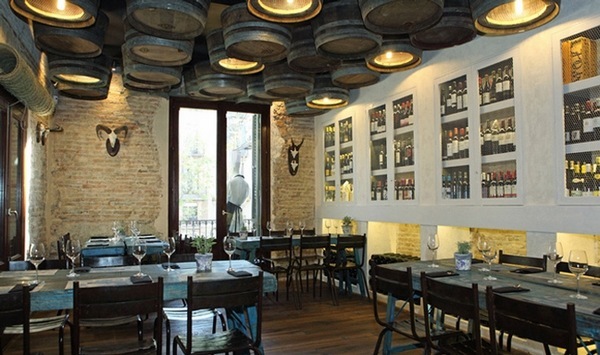 Wine barrels or wood logs – anything is possible! All you need is to be creative and bold enough! 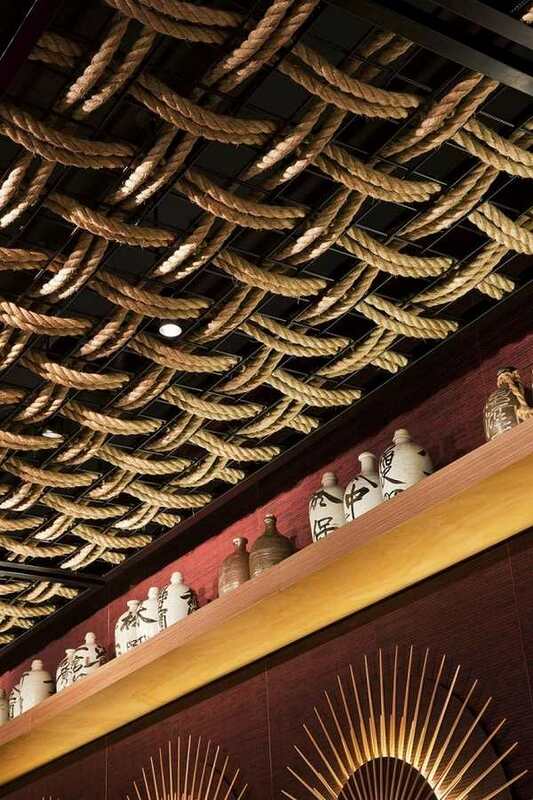 Look at the gallery of unusual ceiling designs and you will see more inspiring and intriguing decorations with rope, dry wood branches and creative and original combinations of materials and lighting.